The mission of the St. Anselm’s Men for Christ is to bring men of the parish together as Disciples of Christ to deepen our Catholic faith, serve our parish and pastor and provide education, evangelization and fellowship opportunities. 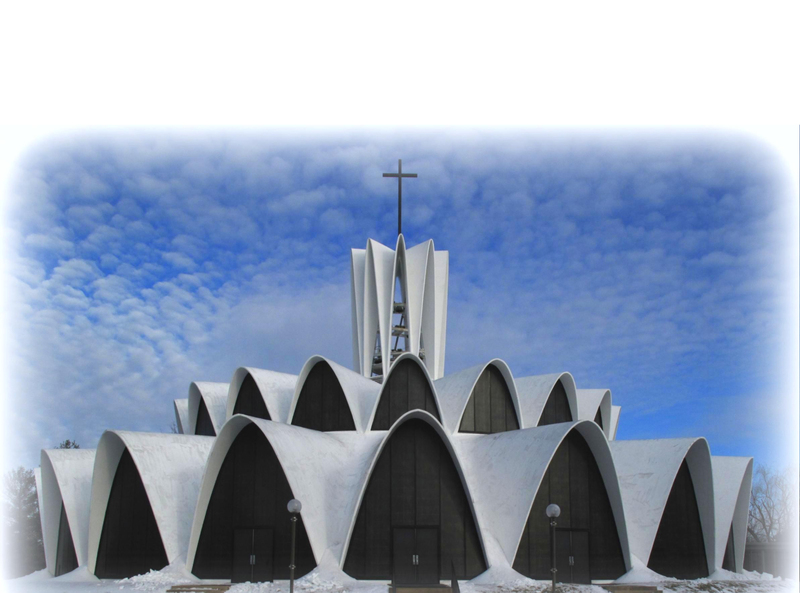 We are committed to foster spiritual, social and service for our parish community. 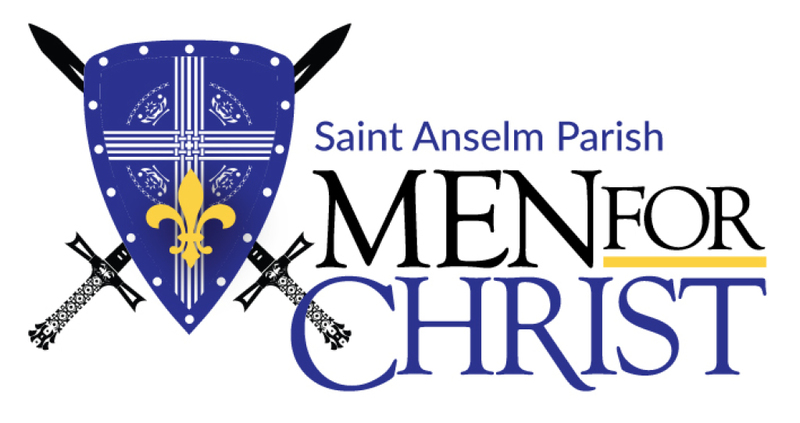 St. Anselm Men for Christ meet the last Thursday of the month at 7:00 p.m. in the Parish Center Auditorium. For information, please call Don Mueth at 314.878.7321. 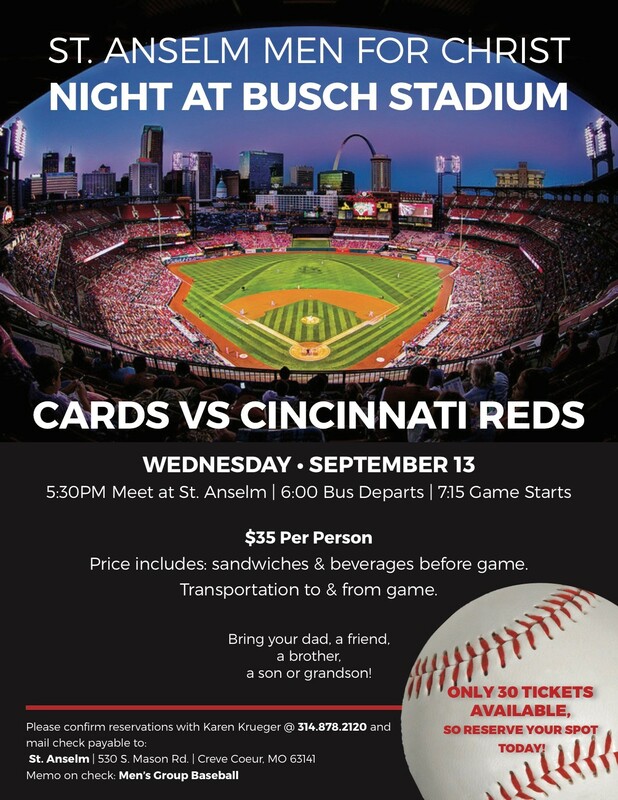 Join St. Anselm Men for Christ at the ballgame on Sept. 13! Click here for more details. (Breakfast and Catholicism Now)All men are invited for breakfast, fellowship and a short, lively talk by a guest speaker on topics of interest to today's Christian men. The group meets on the first Thursday of each month in the Parish Center. Breakfast begins at 7:00 a.m. and the program will end promptly at 7:45 a.m. in order to avoid delays for those who need to get to work. For monthly reminders of upcoming sessions, please text the word “BACON” to 84576.